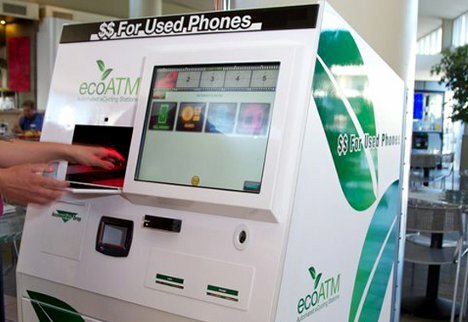 The eco-minded among us have already been recycling our unwanted cell phones for a while, but the ecoATM is about to make the process much easier. The kiosk is kind of like a reverse vending machine, accepting your unwanted technology (including phones and digital music players) and spitting out cash. The ecoATM figures out what kind of device you’re trying to cash in, then has you plug it in so it knows whether your device is in working order. Then the kiosk makes you an offer – and you can choose to either take the cash or give it to charity. Although there are only a few of the machines in place and working currently, they look easy to use and will definitely encourage phone recycling. We can’t wait to see them in every mall, right alongside the kiosks that sell new phones. See more in Phones & Mobile or under Gadgets. January, 2012.